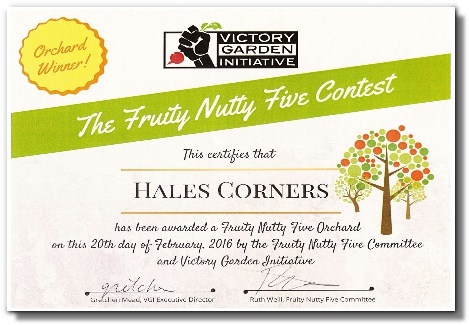 The Fruit and Nutty 5 Orchard has been planted on two vacant lots, formerly designated as a flood zone by the Milwaukee Metropolitan Sewer District. 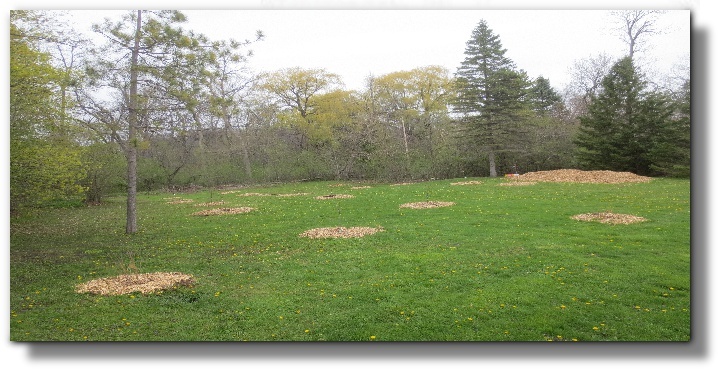 Located north of Parnell Avenue, straddling the creek at 112th Street, the site will be open and available for harvest by the general public. 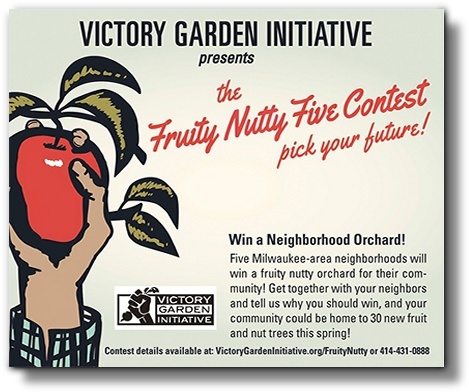 The Fruity Nutty Campaign promotes the planting of fruit and nut trees in parks and residential yards and the creation of neighborhood orchards and food forests throughout the city of Milwaukee. By planting fruit and nut trees, our goal is to protect the environment, improve public health, and strengthen our community. The establishment of this orchard reinstates this property as a valued sustainable area. 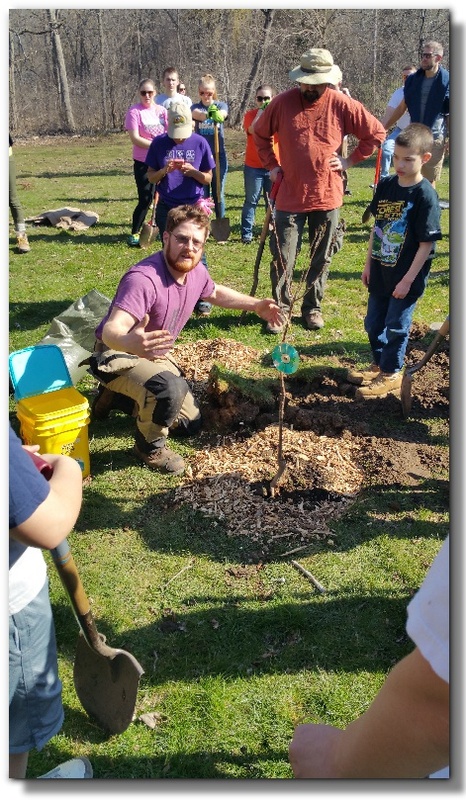 The contest winners were awarded up to twenty-five trees of apple, pear, plum, cherry, hazelnut, peach and apricot, along with a crew of volunteers to help in the planting of each. 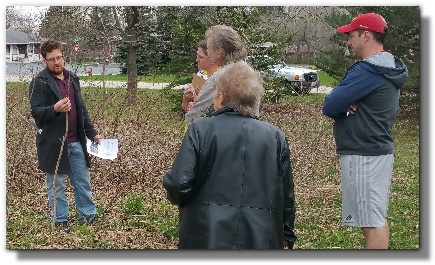 The event on April 16th, was attended by sixty-five people of various ages and backgrounds from throughout the Milwaukee area. To assure that there was uniformity in the plantings, there was a short presentation by noted Arborist identifying himself as 'Orchard Andy' Dimezza. Andy was there to demonstrate the proper size of the hole to be dug; the way to prepare the walls of the hole; the depth to place the graft portion for best survival of the tree; and proper filling and cover of the mulching on the ground around the site. It was a most interesting procedure. 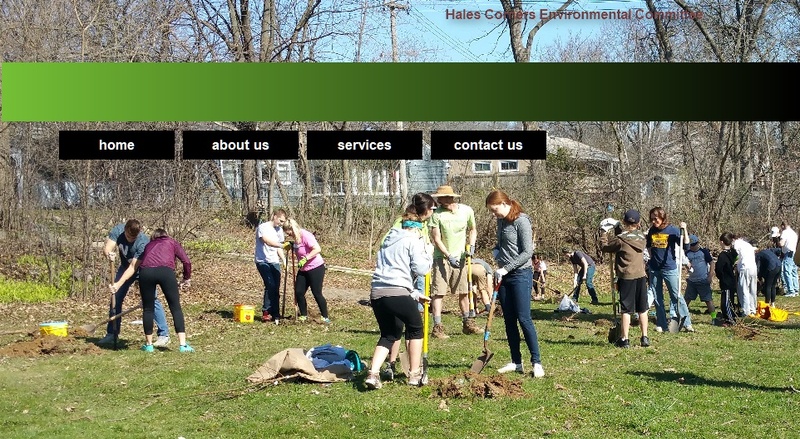 The volunteers grabbed there tools and planted all twenty-five trees in the next 40-minutes. This was right on schedule for the planned hour which included moving to the next location in town for the second of the five orchards to be established that day. Sounds like the work was over. No, it was just started. The trees are quite young and they will not bare fruit for several years. So the Environmental Commitee menbers attended a secondary training to learn the proper way to care for the young tree to assure their servival. Watering and pruning will help the trees to grow not too big, but mostly productive. Protection from the environment will also be important. Many animals, large and small are attracted to their fragile structure. 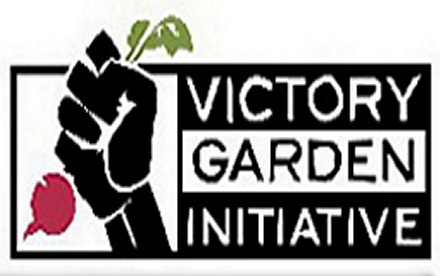 Our sincerest THANKS to the people at the Victory Garden Initiative. We look forward to a long and enduring partnership in our efforts to grow our own food fof generations to come. Watch this important video (here) included in the Victory Garden Initiative's Helpful Hints for an insight to what the orchard will hopefully provide for the future and how it will be managed.